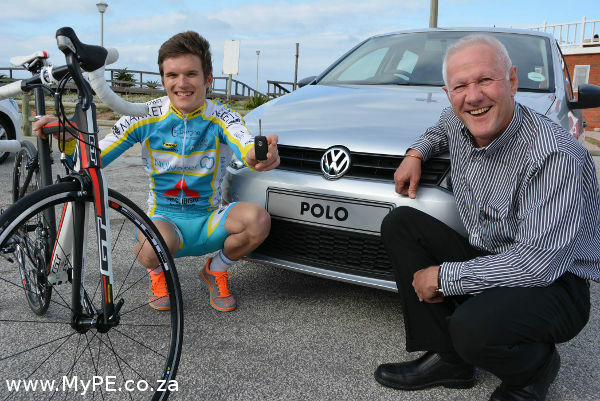 The Herald VW Cycle Tour will offer something new for participants and spectators alike when the 106km Classic rolls out from Hobie Beach in Port Elizabeth on February 2. Organisers have introduced the new Lake Farm climb in favour of the traditional 5K Hill, which will also be the site of a dedicated spectator zone. Road race director Julie Briggs said the viewing point would bring the public much closer to the action and that the short, steep climb was one of the points on the route where the race could be decided. “We would love to see the roads lined with spectators enjoying the atmosphere with their camping chairs and skottelbraais. Briggs said the public would be able to access the clearly marked spectator zone from Kragga Kamma Road. The route over Lake Farm opens up the possibility of adding an additional element to the 2015 route, she said, but this will be confirmed at a later stage. Briggs said her team from Mountain Events were excited to be handling South Africa’s second oldest national classic, after managing the mountain bike side of the tour for the past two years. Briggs said organisers were also upping the ante in terms of rider safety for the 2014 event. “We designed the course so that there will be no dual traffic or crossing of riders on any road to ensure maximum rider safety. The feature race would once again be an official seeding event for the Cape Argus Pick n Pay Cycle Tour, she said. “This is an excellent opportunity for riders to test their legs ahead of South Africa’s largest road race. There will be a sprint prime on Buffelsfontein Road near Builders Warehouse and a King of the Mountains hotspot on Maitlands. The total elevation for the route is 1 100 metres. Briggs said racing would be made more exciting with the additional element of the Ultimate Quest to play for. This category, which was introduced last year, is awarded to the male and female rider with the best combined time over the 80km Extreme mountain bike race and the 106km Classic. “The mountain bike race should generate a time gap, which will make the road race extremely tactical,” she said. The road programme starts on the Saturday with the Powerade-sponsored 10km Sprint, 21km Leisure Ride, 2km Kiddies’ Ride and 500m Toddlers’ Dash. The weekend festival of cycling culminates on the Sunday with the 55km Pursuit and 106km Classic road races. Registration for all events takes place from 9am to 7pm on Friday, January 31, and between 9am and 3pm on Saturday, February 1, at The Boardwalk Convention Centre. No late registration will be available on the morning of the feature race.